Based on the evaluation of the exercises of restoration of controls on the Austrian, Polish, Slovak and German borders carried out between 2015 and 2017 as a response to the current migratory crisis, the Czech government proposes an important increase of the budget means assigned to the Czech borders protection. The Czech Foreign Police intercepted 2,294 migrants illegally crossing the Czech borders in 2015, 511 were intercepted in 2016 and 172 in 2017. Most of them were from Afghanistan, Syria and Iraq, and most of them transited the Austrian-Czech border and were heading to Germany. Another 250 illegal migrants were foreigners crossing the external Schengen borders – the international airports, who were mostly Albanians. There are no available estimates of how many migrants crossed the borders without being detected. Yet, there are no significant movements of irregular migrants through the Czech territory. On the other hand the current figures show, according to Die Welt, that twice as many migrants are transiting to Germany through the Czech Republic as through Austria. The German Interior Minister Seehofer’s pressure on having police stationed at borders to turn back refugees and migrants arriving from other EU countries concerns the Czech Republic too, and it might have serious impacts should the general number of migrants rise again, especially when the capacity of the detention facilities for irregular migrants is taken into consideration. The Czech Republic has seen riots of detained migrants; the conditions that mainly the children and families with children have to endure were criticised by the Public Defender of Rights Anna Šabatová. To limit the number of irregular migrants crossing illegally the national borders is one of the key responses to any further potential aggravation of the migrant crisis, given the Schengen external borders did not prove impenetrable. 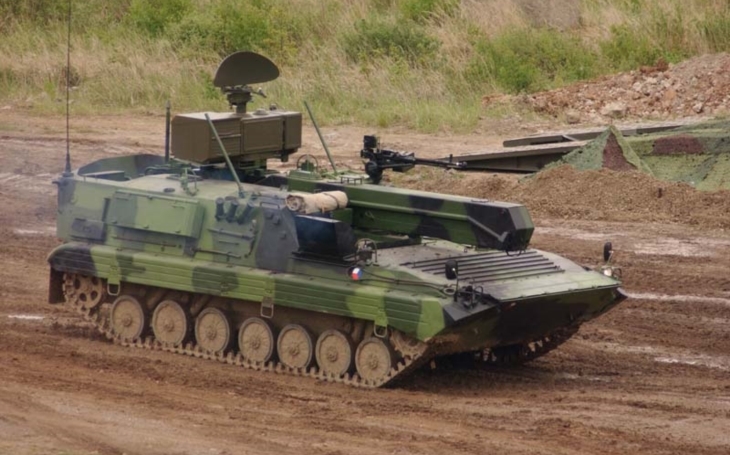 During the most difficult period of the 2015 migrant crisis the Czech Army was to support Czech Police in reinforcing border control, ready to deploy 1,500–2,600 soldiers, the SNEZKA reconnaissance and observation systems, the LOS (Light Observation System), IVECO reconnaissance vehicles, artillery observers, and KLARA night vision instruments. Since 2015 a series of common exercises were held by the Czech Army and the Czech Police, on national level, and within the Central European Defence Cooperation (C.E.D.C. ), which is a military collaboration consisting of Austria, the Czech Republic, Slovakia, Hungary, Slovenia and Croatia. The Czech Republic has common borders with Germany (818.8 km), Poland (795.8 km), Slovakia (251.8 km) and Austria (460.3 km). It is not only the manpower but also hi-tec technologies that are necessary to maintain a reliable border protection. Some of these were presented by several companies (SAAB Medav, VTÚ s.p., Retia, EVPÚ Defence, Optokon, Telink) during the „Intelligent technologies vs fences to ensure the protection of the Czech borders“ colloquium held in march 2016 in the Chamber of Deputies of the Czech Parliament. Based on the evaluation of the exercises of restoration of controls on the Austrian, Polish, Slovak and German borders carried out between 2015 and 2017, the Czech government recently proposed an important increase of the budget means assigned to the Czech borders protection. Based on the government decree n. 745/2017 concerning the borders protection the proposed planned expenditure would reach CZK 179.1 million (EUR 6.7 million) in 2019, CZK 79.9 million (EUR 3.2 million) in 2020 and CZK 85.8 million (EUR 3.3 million) in 2021. This comes together with the European Commission proposing to nearly triple the funding for migration and border management to EUR 34.9 billion for the next long-term EU budget 2021–2027. The effective protection of the EU’s external borders is crucial to ensure internal security, strong external borders are the only mean to allow the EU to maintain the Schengen area without internal border controls; plan B is necessary.